LEESVILLE — Today (March 20) is the first day of spring. It actually arrives at 5:56 p.m. And after another odd Ohio winter, most are looking forward to more pleasant — and a lot more stable — weather. It will be spring-like in north central Ohio this weekend, with sunny skies and temperatures in the 60s forecast Friday and Saturday. The Crawford Park District has program throughout the winter, but outdoor enthusiasts find more reasons to get out and about once Mother Nature makes up her fickle mind about what season is actually upon. Here is the upcoming Crawford Park District schedule, including the date for the popular hi-tech Easter Egg Hunt at Lowe-Volk Park. Biomimicry program: Thursday, March 21, 5:30 p.m. at Lowe-Volk Park — “Bio” means life and “mimicry” means to imitate. Come out for a program to learn about many inventions that have been inspired by different things in nature! For example, did you know the structures of hives and mounds have assisted architects and engineers? Learn about other inventions which have been borrowed from nature.? Vernal Pool Exploration: Saturday, March 23, 10 a.m. at Carpenter’s Bottom — Vernal Pools are a diverse habitat to explore. Join Josh Dyer for an investigation of the vernal pools at Carpenter’s Bottom. Participants will be looking for bugs, frogs, and salamanders. All ages welcome. Wear rubber boots. Book Club Meeting: Tuesday, March 26, at 6:30 p.m. at Lowe-Volk Park — Do you love nature and love to read? With the abundance of books available for nature lovers, sometimes it’s hard to choose the next great book to read. Join the Crawford Park District’s new Book Club. Early registration is recommended as the club will be limited to 15 members. During this first meeting, future meetings will scheduled and the first book will be chosen. Come armed with your favorite nature-themed book and be ready to make your case. Volunteer Work Day: Thursday, March 28, 10 a.m. to noon, meet at Lowe-Volk Park —From old farm dumps to invasive plant removal, the CPD’s newly acquired land needs some TLC. Bring work gloves and a willing spirit. All other equipment will be provided. Meet at the Nature Center to help make this property one of Crawford County’s natural history gems. Another work day is scheduled April 13 from 9-11 a.m.
Ohio Bird Banders Association meeting: Saturday, March 30, 8 a.m. to 4 p.m. at Lowe-Volk Park — The Ohio Bird Banding Association will have its spring meeting at the Nature Center. The meeting is open to the public. Program are scheduled throughout the day. Visit the park district website for the full day’s schedule. Eagle Watch: Sunday, March 31, 2 p.m. at Lowe-Volk Park — What a comeback eagles have made, Once driven to the brink of extinction, bald eagles are the epitome of wildlife recovery. This informative program that will examine the history of our National Symbol and its current status in Ohio. After the presentation, we will caravan to some of the active nests in Crawford County. Fun for the whole family. Wildflower Walk: Sunday, April 7, 3 p.m. at Sears Woods — Come to Sears Wood to enjoy a spring wildflower walk. Early spring brings with it an explosive growth within our woodlands. Spring blooming wildflowers must complete their life cycle before the trees leaf out and cut off the light necessary for photosynthesis. Meet Warren Uxley at the Sears Woods parking lot on Mount Zion Road, west of Bucyrus. Artifact Hunt: Saturday, April 13 at 10 a.m. Meet at Lowe-Volk Park — Join members of the Johnny Appleseed Chapter 19 of the Archaeological Society of Ohio to walk nearby farm fields looking for remnants of prehistoric cultures who inhabited Crawford County. You could be the first human to touch an artifact since it was used thousands of years ago! Don’t miss this popular annual event. Bring the whole family, dress for the weather, and don’t forget your boots if the ground is wet. Also, walking sticks and small digging tools can be helpful. Conservation Heroes-Woodland Box Turtle: Saturday, April 13, 2 p.m. at Lowe-Volk Park — Join a park district naturalist to learn why the Woodland Box Turtle is a “species of concern,” as well as what can be done to help them make a comeback in the wild. You will also get a chance to meet a woodland box turtle! Hi-Tech Easter Egg Hunt: Sunday, April 14, 1-3 p.m. at Lowe-Volk Park —Kids, ring your smartphone, GPS unit, or borrow a GPS unit from us to use for a hi-tech egg hunt. Follow the coordinates throughout the park to discover a hidden egg. Inside each egg is a nature based question that needs to be answered. Kids finding eggs and answering the questions will receive a small prize when complete. Come join the fun! Photo courtesy Crawford Park District Spring starts Wednesday, and that means spring-weather activites at the Crawford Park District, including a Spring Wildflower Walk on Sunday, April 7, starting 3 p.m. at Sears Woods. Also, the always popular hi-tech Easter egg hunt is April 14 at Lowe-Volk Park. 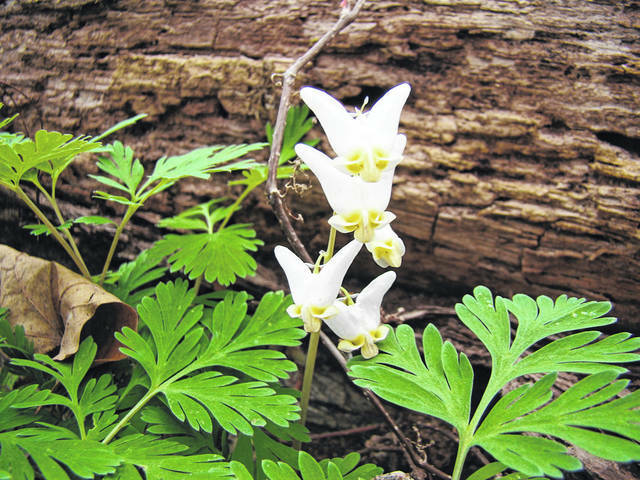 It starts at 1 p.m.
https://www.galioninquirer.com/wp-content/uploads/sites/38/2019/03/web1_9203309_orig.jpgPhoto courtesy Crawford Park District Spring starts Wednesday, and that means spring-weather activites at the Crawford Park District, including a Spring Wildflower Walk on Sunday, April 7, starting 3 p.m. at Sears Woods. Also, the always popular hi-tech Easter egg hunt is April 14 at Lowe-Volk Park. It starts at 1 p.m.